I'm going to try and do my best to make you come and visit South Wales. It's half term this week so if you've got a week off, want to take your kids somewhere fun or you've got a uni reading week coming up there's plenty to entertain you right here in Cardiff and the surrounding areas. I've always lived in South Wales and only moved a few miles to Cardiff from the Valleys for university. I absolutely adore it here and really couldn't imagine myself settling down anywhere else when the time comes to buy a house. I'm blessed to be close to a city, the sea and the countryside. With big green spaces that are perfect for walking and mountain biking, the Valleys also have a unique history. We’re the heart and soul of Wales – and we have some cracking museums. For a taste of our industrial heritage, head for Big Pit, a visitor attraction in a real coal mine in World Heritage listed Blaenavon. And in Caerphilly, you can explore the largest castle in Wales. For a more exhaustive list of what to do check out this site but read on to find out my favourite spots to visit in South Wales. One of my favourite places to spend the afternoon is Cardiff Bay. Cardiff Bay played a major part in Cardiff’s development by exporting coal from the South Wales Valleys to the rest of the world, helping to power the industrial age. 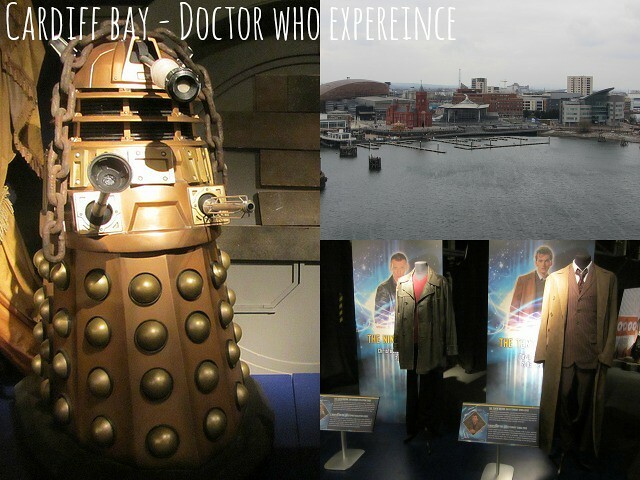 Much has changed since that time and Cardiff Bay has had a make over and is now a great place to eat out, catch a show in the Millennium Centre or visit the Doctor Who Experience. Cardiff is the home of Doctor Who since its 2005 relaunch and is filmed here and lots of beautiful scenery is used on screen (check them out here). At the experience you start with and interactive journey stepping through a crack in time which leads to an adventure before exploring the world's most extensive collection of original Doctor Who props. Exciting stuff. You can see lots of photos from my trip to the experience here. Once you've had enough Doctor Who fun for one day you could head to Cadwaladers for a ice cream or talk a walk around the barrage. Nash Point has only been a recent discovery for me but it's right up there with my favourite places I've been to locally. Nash Point Lighthouse was the last manned lighthouse in Wales and is a great place to talk a walk and enjoy the impressive views over the treacherous waters of the Bristol Channel. 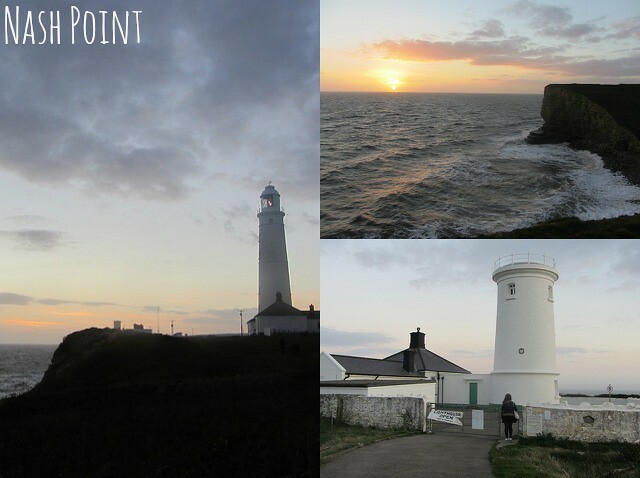 Head to this BBC page for a walking guide which takes you from Llantwit Major to Nash Point. The tea rooms are a fairly recent addition to Cardiff and are in the refurbished West Lodge in Bute park, next to Cardiff Castle. David the owner blogged about the refurbishment and opening of this new business over on I Want to Bake Free. The tea rooms are very traditional with lovely wooden furniture and the original Victorian floor tiles. 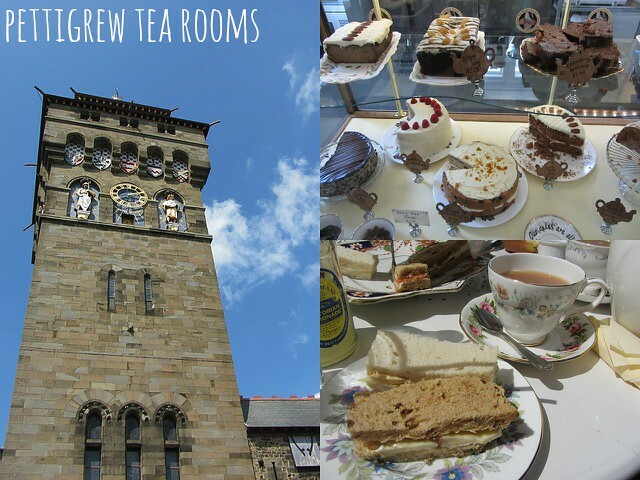 I highly recommend the Angel Peach tea and the brie and chutney sandwiches as part of the afternoon tea which is £13.95 for one of £24.95 for two.All the bread and cakes are freshly baked on site and if the weather is nice you can sit outside and look out over Bute Park. 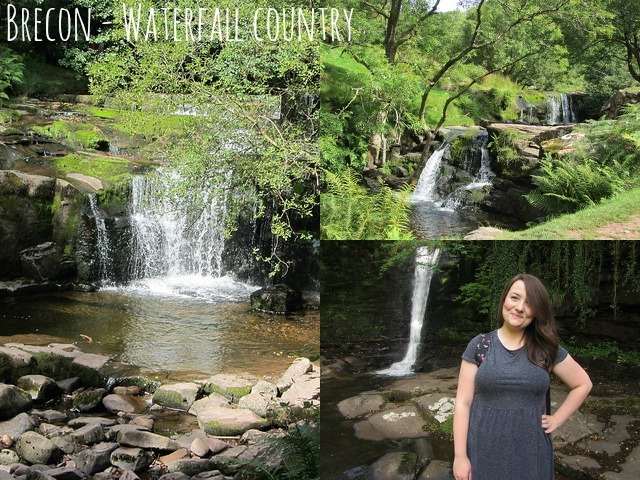 Waterfall Country is a stunning region of the Brecon Beacons National Park and the Waterfalls Centre is a great spot to start exploring this area. I love the Blaen y Glyn walk waterfall walk. It's relatively simple and great if you are less agile or have kids in tow. I don't have proper walking boots or any kind of walking gear and I found this walk pretty easy. There are some lovely picnic spots along the way too. For more dramatic waterfalls head to Sgwd Y Eira. I hope I've sold it to you. Have you been to Wales? You might have just persuaded me! I've been trying to think of somewhere to escape to for a birthday weekend away, and with the added draw of the Dr. Who Experience I shall definitely add this to the list. Love Wales! All my dad's family are from the Clwyd Valley and we go on holiday every year at Easter to Anglesey. I spent many a happy half term years ago in the Gower, Tenby and Barry plus I've been spending a week each September in Aberystwyth for my distance learning MSc library degree. I've never been to Anglesey but I really fancy it, want to go on the steam train in Snowdonia too. God bless Wales! Love this post Gem. I really do love Wales.